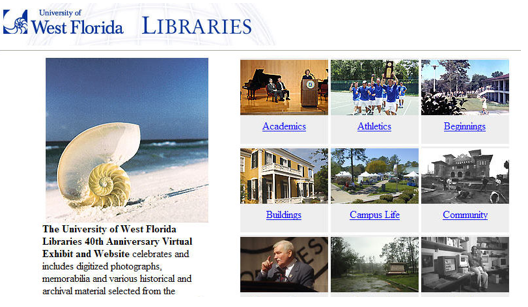 In 2007, the University of West Florida Department of Digital and Learning Technologies was charged with the task of rapidly developing a digital image library focusing on the university's upcoming 40th anniversary. This project was to highlight a spectrum of the university's archival holdings with special attention to images and linking to them permanently from the libraries' web site and University Special Collections and Archives. Because of the limited timeline available to complete the project, as well as budgetary concerns, instead of utilizing cost-prohibitive, human-resource-intensive or institutional vendor digital library models, an agile open source rapid application methodology was proposed. 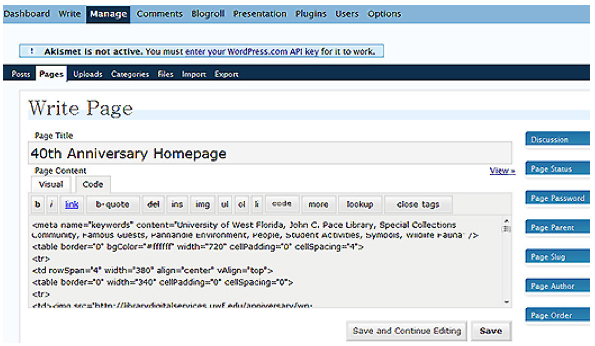 The possibilities of radically repurposing Web 2.0 weblog software would be exploited to take advantage of new affordances. Weblog-like features would be repurposed to quickly and economically create a new type of interactive digital library model. Immediate advantages were a suite of new interactive features for users, an easy-to-use administrative module and a robust database backend for future scalability. This larger experiment was successfully launched and completed in time for the University's 40th anniversary and is permanently available online at <http://librarydigitalservices.uwf.edu/anniversary>. This project briefing highlights the efficacies of rapidly building these types of new digital image libraries to take advantage of open source possibilities for institutions with limited budgets. Others may wish to explore this type of online, scalable, and organic archival methodology and digital library solution as well. Project deadlines, budgets and benchmarks are important factors in building any digital library project. With many digital library projects, scalability is also crucial if project content is not fixed but organic. 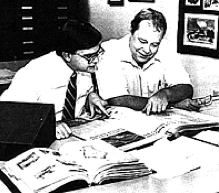 For the University of West Florida 40th Anniversary, scalability was of paramount concern. Initial project specifications required that the project be scalable to account for the university's ongoing archival needs. Because of this, a database-driven design was essential. In developing this project, a team was formed consisting of representatives from Archives and Special Collections, the Department of Digital Library Technology, library and university higher administration. To solve a budgetary hurdle, a cutting-edge, open source software solution was proposed. Because of this, a significant barrier to entry  that of more specialized human resources and costly vendor software typically needed for these types of projects  was removed. Instead, widely available open source weblog software and local staff trained in basic web development would be utilized. In phase one of this project, material was gathered and a preliminary information architecture was developed for approximately 500 images. The project content, taxonomy and information architecture was built organically from library and university archival holdings. From this, a traditional branching-tree architecture and static prototype was developed with schematic subject categorized sections. Digitization and scanning of the approximately 500 images initially gathered was carried out quickly, and analog photographs were digitized in appropriate formats. For section galleries, thumbnail (128x80 px) and large version (650x522 px) images were created in .jpg formats, and documents were converted to PDF and XHTML. A static web mockup followed with a bottom up category taxonomy integrating digitized content and building a web interface. This provided an initial prototype for the administrative committee and mechanisms to be secondarily repurposed. Internal and external stakeholders carried out beta and initial usability tests . We asked key university stakeholders to perform wider quality assurance of the site, and a set of marketing materials was also developed from the web design content. To enable interactive and easy to use administrative database features, a weblog shell using open source Moveable Type Wordpress software was radically repurposed. This shell consisted of easily customizable PHP middleware and a MySQL database backend. The shell provided an easy to use administrative interface and a robust database for future scalability. The weblog software provided a variety of user-centered features, easily recognizable and widely accessible. The advantage here was that as new open source weblog features became available, the MySQL database could be migrated to new versions without a great deal of effort. In moving from a static website to an interactive digital library, the main customization challenge proved to be reorienting the Weblog posting configuration to serve as an effective digital library interface. 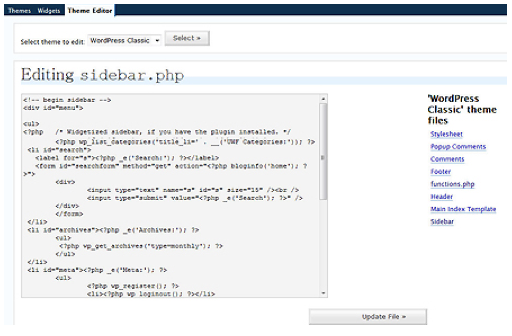 This occurred through a structured repurposing of the Weblog's administrative interface options and customization of the Weblog's open source PHP, CSS and templates code. When completed, this allowed a gateway for dynamic and advanced weblog features to be incorporated easily into the digital library (i.e., RSS feeds for individual images, user comments, dynamically generated organic categories, searchable metadata, etc.). As the weblogs' HTML, PHP and CSS style sheets were completely open, other changes could be made with little effort. 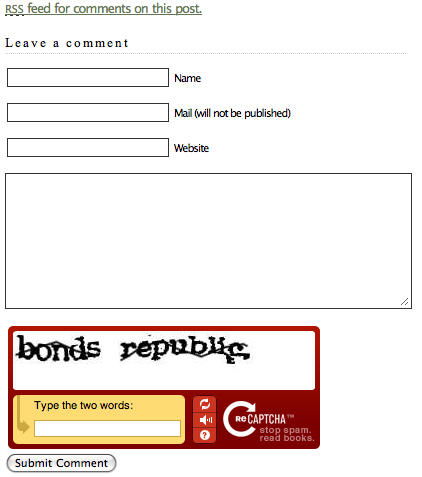 Similarly, secondary open source developer components such as Luis von Ahn's RECAPTCHA plugin for system security/book digitization could be easily incorporated. In this model, an online comments box is present for each archival image. Conceptually, this is a more radical innovation for archive-related digital libraries. Through this comments box, visitors are able to annotate archival material, add their own histories and conceptually change the nature of the 'archive' from a closed collection to an 'open,' living, organic archive. This shift of perspective also opens a host of complex and new questions that merit further discussion regarding online archives, traditional archival/archivist roles and definitions of visitor/visited artifacts in the digital age. 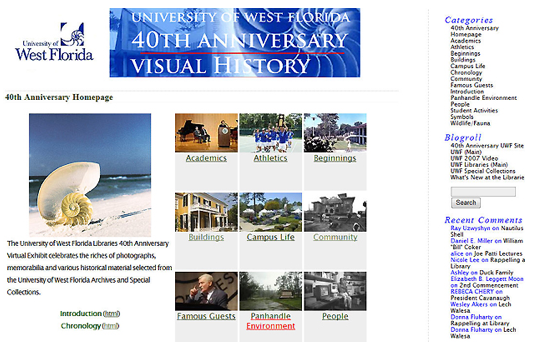 The University of West Florida 40th Anniversary successfully launched in late 2007. During the university's physical celebrations, a large material display was set up alongside a virtual terminal kiosk. For the long term, the digital library remains permanently housed in the libraries for the university. 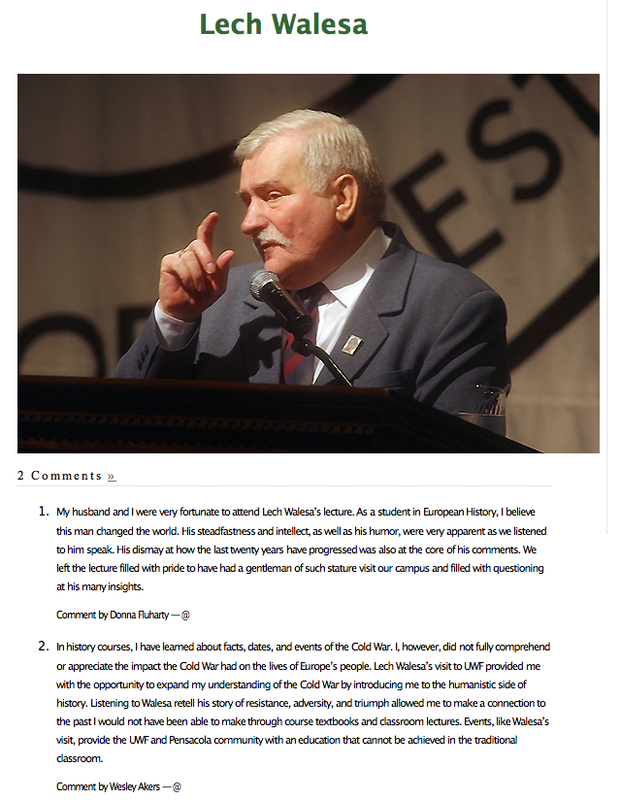 Substantial repurposing of open source weblog and weblog methodologies creates a host of opportunities regarding digital archive construction and merits further discussion of issues surrounding the nature of historical archives, documents and visitors. The methodology outlined in this briefing also poses new questions with regard to best practices through leveraging easy-to-repurpose, open source solutions for agile digital library development.